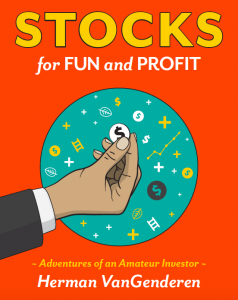 -Why the stock market is a fun and fantastic wealth creation vehicle. -How to enjoy rather than fret market volatility. -Why tough times are great opportunities to build portfolios at reasonable valuations. -How to construct a strong portfolio that doesn’t need constant attention. -How options can be used to enhance performance. With thirty-five years of experience in investing, Herman VanGenderen considers himself “not an expert, just a regular guy who happens to have found a knack at being successful at investing.” He uses actual investments in his portfolios to demonstrate success. With this book, he hopes to simplify and demystify investing for busy professionals so they can focus on their own career while still building financial security. Learn from a self-proclaimed amateur investor, who has experienced market beating success over a prolonged period of time.